Many thanks to Rafe Arnott and the good folks at Part Time Audiophile, a site I have loved for a long time, for awarding our room Best Sound of Show for LAAS 2017. This is for the room we did with Perfect8, Ypsilon, and Aurender plus wires from Wireworld and room treatments from ASC and DeltaH. Please contact us to purchase any of these fine products or get a consultation on your system. Our thanks to PTA, to the great companies who partnered with us on the room, and to all who came by to listen with us. It was a great honor for our small company to partner with some of the finest AV companies to design and build the largest room of the 2017 LA Audio Show. 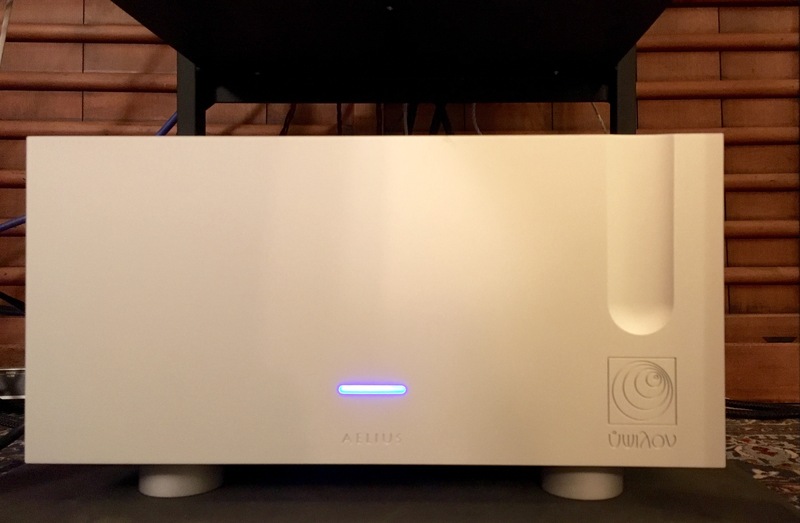 Because the LA Audio Show is a 2-channel show a lot of the press didn’t pay attention to our 27 channel Atmos system with 4K HDR Kaleidescape Strato Movie Player, JVC 4K HDR DLA RS-4500 projector, Seymour Screen Excellence 160 inch wide 4K screen, etc. We really appreciate Scott Wilkinson who not only wrote this great article, he introduced us to new demo material and shared some of his vast knowledge with us. I have been a long time reader of the AVSForum and actually used the site for information to help me choose the products to use in the room. My wife and I went in the room late at night to dance. She put on the Dolby Atmos Imagine Dragons Blu-ray. Wow!!! I wish we could have brought that system home with us. But the good news is, you can, if your house is big enough which ours isn’t. We can build this exact system or a similar one in your home, anywhere you like! Without the scaffolding of course, that was just done to fit this in a hotel. Dance with your wife all night long, play video games with the kids, watch movies as the film makers intended. We had a bunch of incredible partners, Trinnov, Curt Hoyt, JVC, Seymour-Screen Excellence, Kaleidescape, Turner Systems Consulting, Audio Vault, Kevin Clark Brook, Haikoustics, Rythmik Audio, Art Noxon of ASC and lead partner Starke Sound. We could not have done this without these partners. We install all of these fine brands across the US and many of them throughout North America. We’d be proud to work for you, please email us if you’d like help with your next theater or listening room. Or visit HighEndZone for more info. We are busy getting ready. My wife just created this blog for us, something I’ve wanted for years. And she’s been updating the website while my son and I pack. We’re about to pack these beautiful Ypsilon Aelius Mk II mono blocks. These will be making a World Premiere in the High End Zone penthouse suite 1406. We’re going to play one more Led Zeppelin show before we crate these beauties up. They sound amazing! Ypsilon makes the finest amps I have ever heard in more than 30 years in this hobby. Please come and have a listen. We have great raffle prizes for our guests to win from Aurender, Golden Ear Digital and Verastarr. I am so excited for the system we’re going to be playing and grateful for the partners who are joining us. Most of all I’m excited to meet more wonderful people who share our love of music.